I've had quite a few people commenting on my skin recently, so I thought I would share my routine and some skincare tips. Firstly, I wanted to share that although my skin is happy and healthy these days, I've had to deal with various skin concerns in the past - constant nasty breakouts, sensitivity, and eczema, and learned the best routine to keep it balanced. Now the Elemis products I use won't be suited to everyone (we have a range of cleaners, toners and moisturisers for all skin types within the range). You may also prefer different consistencies and aromas. But the basic routine is perfect for anyone to keep the skin well looked after, healthy, and glowing. Every morning and evening I cleanse with Elemis Pro Radiance Cream Cleanser and rinse of with warm water and a face cloth. I then tone with Ginseng Toner on a cotton pad. Then I gently dab Pro Collagen Eye Renewel under my eyes and around the outer edges with my ring fingers, followed by applying Pro Collagen Marine Cream on my face in gentle upwards motions and Pro Collagen Neck and Bust the same way on the décolleté and neck. I find these moisturisers perfect for my skin as they are light and silky in consistency, so they hydrate my face to the ideal amount. The cleanser I use is great for all skin types and again, I find it nourishes and hydrates my skin giving it a glowing boost without being too rich. Prior to applying makeup in the morning, I then apply Pro Radiance Flash Balm which gives a lovely glow and brightening effect and holds makeup in place well. Once a week I use the Papaya Enzyme Peel exfoliator. Exfoliation is soooo important. This exfoliator is gorgeous and one of my favourites. It goes on like a mask and is left for 8 minutes as the fruit enzymes gently exfoliate leaving the skin super bright and smooth. This is perfect pre-date night or before a special occasion. It smells divine! I also use the Skin Buff exfoliator once or twice a week (I generally exfoliate every 2-3 days), which is like a grittier scrub and is massaged in all over the face and then rinsed off. Again, this leaves the skin smooth and invigorated. Exfoliating helps to get rid of dead skin cells which means you get better results from your moisturising products and they skin into the skin a lot better. It also increase blood circulation to her achieve healthy glowing skin, minimises pores and reduces breakouts. It also promotes cell renewal which helps to give a more youthful appearance! Whoop whoop! A couple of times a week I will use a face mask after exfoliating. At the moment I am use Exotic Cream Moisturising Mask which is super nourishing for the skin. Again, helps give that hydrated and healthy glow, and keeps skin soft and supple. So that's my skincare routine which I know helps promote super healthy glowing skin. Along with my skincare routine, I have been drinking plenty of water, eating good amounts of fruit and veg in my diet, and have been taking supplements to support skin and body. I am currently taking Vitamin C (heals skin, boosts collagen, fights ageing), Folic Acid (produces and maintains new cells), Vitamin E (protects the skin's cells, antioxidant, supports the immune system), Evening Primrose (soothes and supports the skin, promotes overall skin health), and Turmeric (anti-inflammatory and antioxidant). These supplements also offer many other benefits to the body and immune system. I think chilling out with daily meditations, occasional walks out in the countryside, and the gym also help me to bring about calm and therefore try to keep stresses away from affecting the skin. So, there you have it. This is how I look after my skin and why I've noticed a few people commenting on it. If you have any questions, please feel free to contact us. Or, if you'd like to visit myself or one of the team for a complimentary skincare consultation and skin analysis, then just give us a call on 01622753183 we'll be more than happy to help you with your skincare routine too. The Reefy Oscar Beauty Awards! If you watched the Oscars, you would have seen the best beauty trends walking the red carpet. Being all things beauty, at The Reef we have decided to have our own Oscar awards. Nail Magic, the BEST nail strengthener, conditioner and hardener to get those natural nails looking fantastic! Developed in 1960 by a professional manicurist who found the perfect formula and five decades later nail magic is still selling all over the world for one simple reason IT WORKS! Elemis Micellar Water, no matter how well we think we have removed our make up, how many of us have woken with panda eyes? Elemis Micellar Water is prefect for those! Infused with organic English Rose water and Chamomile, it gently cleanses and removes make up while leaving the skin refreshed and purified. Elemis Pro-Radiance Flash Balm, for the perfect looking complexion for those all important photos! Use over your moisturiser as a make up primer to instantly brighten and reveal a smooth and even skin tone. One of my personal favorites! Elemis Skin Nourishing Milk Bath, award-winning and launched two decades ago when elemis first started and still a number one seller! Did you know that Cleopatra who was renowned for her radiant skin and beautiful body bathed in donkey’s milk daily! Elemis Skin Nourishing Milk Bath is rich in vitamins, nourishes and conditions leaving your body feeling soft and supple. Delilah, worn by the stars such as Holly Willoughby and Emma Willis; Delilah is the make up to help women of all ages look and feel beautiful. Delilah has the full range of products to make you look gorgeous for every occasion, light weight and good coverage, beautiful range of lip colors and luxury colour intense eye shadow pallets makes Delilah cosmetics a very worthy award winner! Elemis Pro-Collagen Marine Cream, Who doesn’t want to delay those signs of aging? 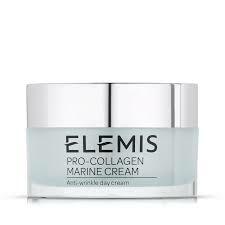 Pro-Collagen Marine Cream is an award winner in it’s own right with being Elemis’ best seller, 1 sold every 9 seconds! Clinically proven in delaying those little fine lines and shown to reduce the depth of wrinkles, improve skin tone, firmness and hydration within 14 days WOW! It has a light gel cream texture and a beautiful scent which makes this product feel very luxurious on your skin. 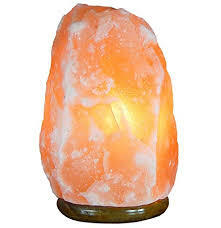 Himalayan Rock Salt Lamp, apart from the lamps giving a really soft light and looking really cool in any room they also have many health benefits! they can improve anxiety, reduce allergies and asthma, relieve migraines plus much more! One of the best benefits is it allows for better sleep and a good 7 to 9 hour sleep make us more happy, healthy and productive… that has to be a WIN WIN! Elemis Aching Muscle Super Soak, tired muscles and a achy back is no fun but this bath soak can relive those aches and pains! Lay back and let the deep heat aroma remedy do it’s job, warming those muscles and leaving your body feeling uplifted and energised. Sienna x instant tan, fake tanning seems to be a must when heading out and Sienna x instant tan gives you that prefect sun kissed glow, it smooths the skin and moisturisers any dry patches giving your skin a silky appearance, who say’s we need sun to have that healthy glow! 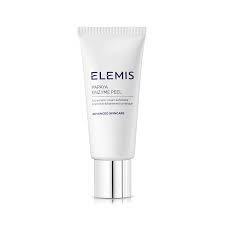 Elemis Papaya Enzyme Peel, a non-abrasive product to exfoliate and purify your skin. The natural fruit enzymes of papaya and calming pineapple smooth and clarify the complexion leaving the skin radiant and you feeling confident for those natural looking photos. What are the benefits of spa, wellness, and time out for relaxation? National Spa Week exists to help raise awareness of the physical, mental and emotional benefits that visiting a spa can offer. The benefits of meditation are HUGE. Meditation has been scientifically proven to improve our well-being in so many ways. It has been shown to grow grey matter in the brain, which is where concentration increase and is the area of the brain involved in learning and memory, regulating emotions, sense of self, and having perspective. This is why we wanted to start offering group guided meditation. Helping others relax and improve well-being is a big part of what we're all about. We've already seen first hand the results that can be achieved through one guided meditation session, let alone regular meditation. Those that joined our guided meditation on our mini retreat day left us feeling so calm within and completely relaxed. We could see breathing literally change and relax, and we've had such fabulous feedback from it, some have mentioned how they've been continuing to use an exercise that worked for them whenever they have felt a little stressed. Amazing! During the mini retreat day, we had many ask if we were going to continue and offer this as a regular thing, hence the launch of our weekly guided meditations! Our group meditation is suitable if you have never tried meditation before, or if you regularly meditate. You may wonder what to expect and have concerns over what will happen? You may have seen beautiful images of people meditating before - sitting peacefully under a waterfall looking almost model-like? Sitting cross legged on the floor? And so on. This isn't how your every day meditation is. Meditation is suitable for literally ANYONE and you can simply sit comfortably in a chair to meditate. Our group sessions are very relaxed and welcoming. Everyone is in the same boat, and I can assure you that you will be made to feel comfortable and leave feeling relaxed. We would LOVE for you to come and join us and try it out. See the benefits you can achieve. There are limited spaces on the group meditation, so please book as soon as possible. You can either call us on 01622753183, or purchase your session easily online http://www.thereefspa.com/wellbeing/ to secure your spot. Please note: Guided group meditations will be on Thursday evenings 7-8pm, excluding Thursday 28th June and Thursday 12th July. Apologies for any inconvenience here. The Reef's founder, Clare Cockell, will host the guided group meditations. 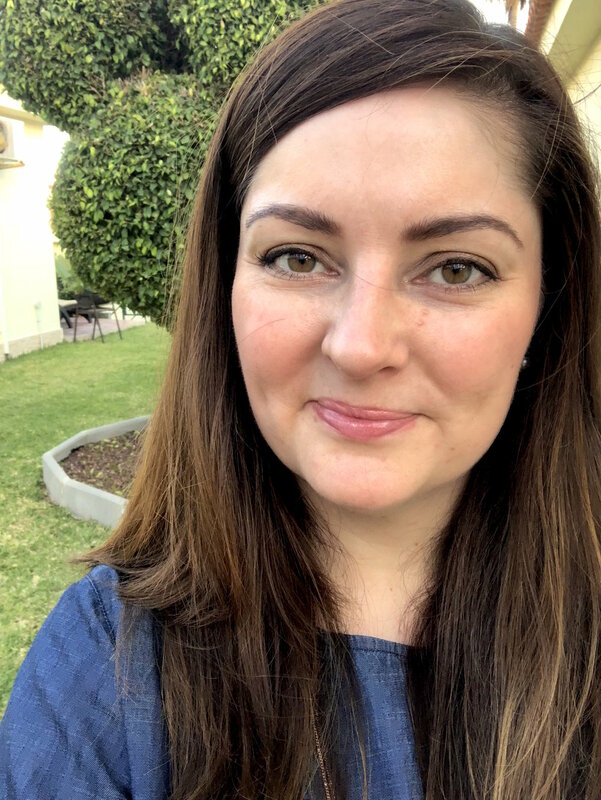 Clare is often told she has a calm energy and generally a relaxed outlook to life, trying to step back and see things from a positive perspective. Clare first meditated properly about 4 years ago, testing out various practices, and was amazed at the results it gave alongside having a focus on mindset and personal development, the journey of which extends over 5 years now. More recently, she decided to take this practice further by training in guided meditation with an experienced and well respected trainer. Clare brings this experience into her group sessions to promote calm, well-being, and relaxation in the sessions and going forwards. It's great to visit a salon and have a facial. A nice boost for the skin, which targets concerns discussed with your therapist. However, a one-off facial is obviously not going to give miracles and needs at home care to keep up results and a long term skincare regime to keep the skin in a good condition. It can all be overwhelming, so what's the process for giving yourself a regular facial at home and how often should you do so? It is recommended that if you have oily/combination skin you should give yourself a facial at home twice a week. For dry skins this would be just once a week. You may wish to tie or hold your hair back with a headband. You will need some cotton pads, a clean wash cloth and the products recommended for your skin type. Using cotton pads, apply your eye make up remover and gently wipe over the eye area. Then, using your hands, gently massage the cleanser into the face, covering all areas, excluding the eyes. Remove the cleanser with warm water and you clean wash cloth. You may want to cleanse the face twice if you have had heavier make up on. Using the appropriate toner for your skin type, apply to a cotton pad and wipe gently over the face. This removes any excess cleanser, dirt and grime, and closes the pores after cleansing. Apply a little exfoliator (be sure to check which is recommended for your skin type) on your fingertips, then massage it gently int the face all over in circular movements. Do this for a couple of minutes. Don't forget around the nostrils and also have a good focus on the chin and forehead. Some gentle exfoliators are instead applied like a mask and then removed, so do check application with your product instructions. Remove the exfoliator with warm water on your wash cloth. Quickly tone with a cotton pad again. If you have an eye mask, apply this first with the ring fingers and gently dab it under the eyes and over the top of the eye socket near the eyebrows. Then for the facial mask. Again, ensure the mask you are going to use is suitable for your skin and going to give the results you are looking for. Some masks are great for hydration, some for balancing oiliness, drawing out impurities, smoothing and deep cleansing,and others for brightening or plumping the skin. Apply the mask in a thin layer over the face, avoiding the eye area. Leave this on for about 10 minutes. If you are busy, then you can apply this whilst doing other household chores, otherwise we recommend it's a great moment for relaxation or meditation. After the recommended time, remove with warm water and your wash cloth. Again, tone with a cotton pad. Don't forget the eyes! The eyes are an area of the face which show ageing the quickest, so an eye cream is important. Remember to apply your eye cream gently with the ring fingers and dab under the eyes and around the top of the eye socket. This is also the perfect time to apply a serum to the face if needed. Serums are great if your skin needs an extra boost of hydration, or attention. You will already start to notice how much brighter and happier your skin looks, but it can take time to see dramatic results for skin with certain concerns. Over time though, skin will become easier to manage, more balanced, and in a healthier and happy condition on a day to day basis. If you have any further questions, or would like to know the ideal products for you, then please don't hesitate to contact us and we can help find the right products for you. The Reef's Well-being focus this month is the back. Most of us suffer with back aches and tensions at some point in our lives, so we thought we'd have a focus sharing top tips and recommendations to help improve, ease and heal back problems. Massage is hugely beneficial and offers great results if suffering from back tensions, aches and pains. The deep tissue massage can help target key areas, break down lactic acid, whilst soothing the muscles with the pressure and increased heat to the area. Body 55m: book here. Back 40m: book here. Back 25m: book here. Wheat bags are ideal to ease ashiness. Simply pop it in the microwave, then place around the neck or against tension areas on the back. Heat helps the blood vessels dilate which then increases the flow of oxygen rich blood to the specific area. This also really helps with healing and acts as a pain reliever by stimulating pain receptors within the skin, which decreases the frequency of pain messages that are sent to the brain. Heat therapy also helps to relax and loosen the tissue surrounding the area. Ligaments, tendons and muscles can then move more easily. 10 years at The Reef! Wow! Where has 10 years gone? We can't quite believe we've been here 10 years this spring! It has flown by. Looking back over photos, it's amazing how much has happened and changed. Has it been easy? Not on your nelly! But, I wouldn't change it. I always think everything happens for a reason and all the experiences have made me the person, and business owner I am today. One thing, is that I have always had such a huge passion for the beauty and spa industry, and for well-being. That passion is as strong today as it was back in 2007, when we first started. So, back in 2007 we initially took on a beauty clinic that was on the top two floors of the building here on Gabriels Hill. I remember I had given my notice in to my employer at the time as the completion date was getting close, then we heard there had been a fire at the premises, and I had to go and ask if I could take my notice back. Thankfully, my manager at the time just laughed and asked why. I was there another 6 months due to the extent of the damage. When we finally took over it was obviously nice having newly painted walls, but having been closed for so long, many clients had found elsewhere else to go. We had to start from scratch. Many of you may know; being is business can be tough at times. There are many things I have learnt over the years, such as starting as you mean to go on, and being more cautious when employing friends/family. I am thankful for the tougher times as it gave me the experience on how to deal with various situations, how to generally be a better manager and currently support my team the way I now do. I had grown up with business around me, so I understood the implications and how demanding it could be, yet I loved what I did and would generally be working, even when I wasn't 'working'. It could be hard to switch off at times. I've had notices of termination of employment from team members given to me whilst away on holiday and even the evening of Christmas Eve, whilst at a party. Over the years I have realised that it's very important to take that time out and switch off, but also have a good team structure, which means that can happen. I am blessed these days to have a team and manager in place who are confident and pro-active. For example, it meant that I could be away almost the whole of January this year, when a family holiday coincided with a salon conference in Dublin and a spa visit to Massachusetts to be their visitor for the World Spa and Wellness Awards. When we first started; we introduced new treatments, some that were not offered at the time in Maidstone, and they were a big hit. Customer service was always important to us, and we found we quickly started to see some regular faces. Many whom still visit today, which is lovely. We were lucky to have the opportunity a year on to expand into the ground floor of the premises, and haven't looked back. This allowed us the space to offer a manicure, pedicure and makeup area, plus more spacious seating. It means that now, we can offer those beauty salon treatments (waxing, tinting, nails and makeup) on the ground floor, and as soon as you start to head upstairs the rooms are dimly lit for the peaceful massages, facials, and body treatments. Since then, we have been blessed to help out at many events (with OK! magazine, Louboutin shoes, and more), help out various charities, such as when we travelled Land's End to John O'Groats visiting selected charities, raising over £2.5K, and pampered their teams, as well as raising over £2K for Pilgrims Hospice and Cancer Research UK in memory of a friend (who thought £500 was too big a target to set). Plus, be presented with many awards, and have the recognition of Theo Paphitis. I have also had the pleasure of judging within the industry's leading awards - the Professional Beauty and World Spa and Wellness Awards, plus the Kent Health and Beauty Awards. So, we look back on those 10 years with fond memories and are thankful that we have grown over time and that we still love what we do as much as day one. 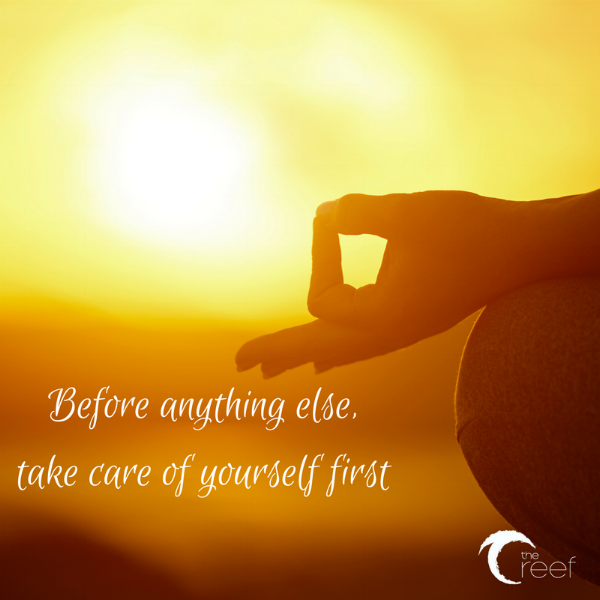 I wanted to create The Reef to offer a peaceful atmosphere, a place to enjoy an experienced and relaxing treatment with a team who really cares, and no need to rush out afterwards. We are so happy to still see the 5 star reviews that come through to show this is how the visit was experienced. We are also blessed to have truly amazing clients; we would like to thank you for being a part of our journey and for the support you have given us. We wouldn't be here without you, so it means such a lot. Any comments, feedback, memories, please feel free to share below or on our Facebook page. We'd love to hear them! There's that niggling feeling in your back... You keep trying to stretch it out, hoping that will help. It may give a temporary release, but soon enough, there it is again.! We know many people like this and hear often how someone has been meaning to visit and should've done much sooner. We agree, for your general wellbeing, happiness, and comfort, it is best to visit us to ease the tension and aches, rather than suffering and experiencing more discomfort. Imagine walking into a calm and dimly lit treatment room.... Your therapist discusses where your concerns and aches are and invites you to smell a couple of massage oils to help find the best for your needs. Your therapist leaves you to get ready and you melt onto the couch. It's a blissful moment even just then; nothing but the peaceful music can be heard, the flickering candle lights are in the corner of the room, and the bed is cosy. You therapist returns to the room and checks you're warm and comfortable enough. Perfect. Hot mitts are covering your feet followed by relaxing stretches and pressure points. Your mind is already unwinding. Your back is then uncovered and the warm oil applied. You're asked if the pressure is ok... Would you like it any firmer? You can feel the massage releasing the aches in the muscles. Bliss! After your massage, your therapist ensures you have a glass of water and recommends some aftercare advice just for you. Perhaps it's a stretch to keep your back under control after your treatment. So worth it! Finally, your shoulders feel lower, you can move easier, and that niggling feeling has been released. Massage is one of the most popular treatments we offer at The Reef, this is due to our therapists skills and the relaxed environment. For men and women; Deep tissue massage starts from just £35. You can book easily online (through our website or download the app) or call us on 01622 753183.